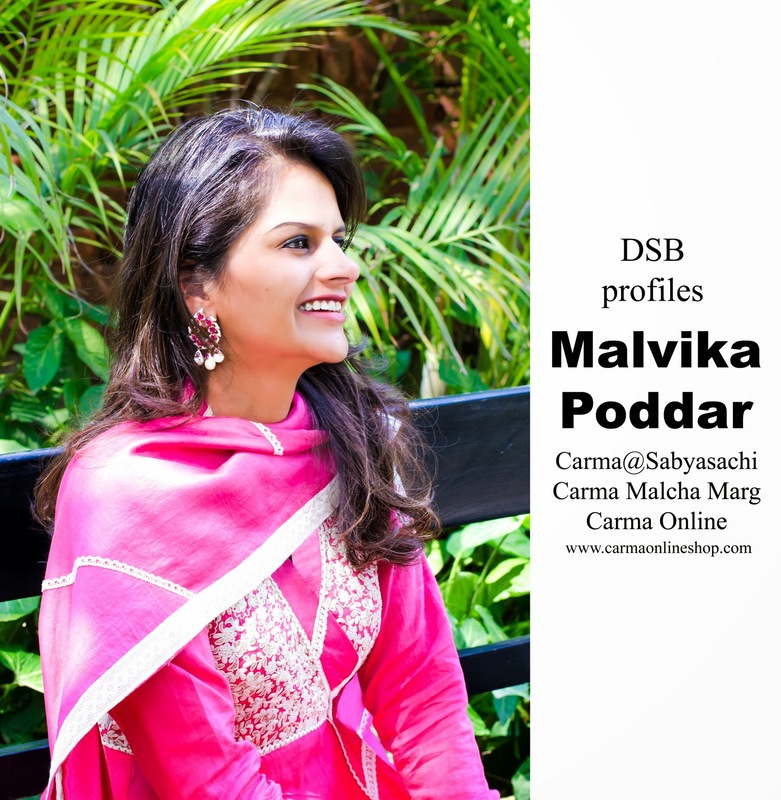 Malvika Poddar is a fashion entrepreneur and custodian of one of Delhi's ritziest address "Sabyasachi @ CARMA" at Mehrauli , the jewel in the crown of Carma Creative, which also operates a multi designer store CARMA at Malcha Marg, Delhi and its online estore CarmaOnlineShop.com .... all stocking high quality Indian and trousseau wear ..... 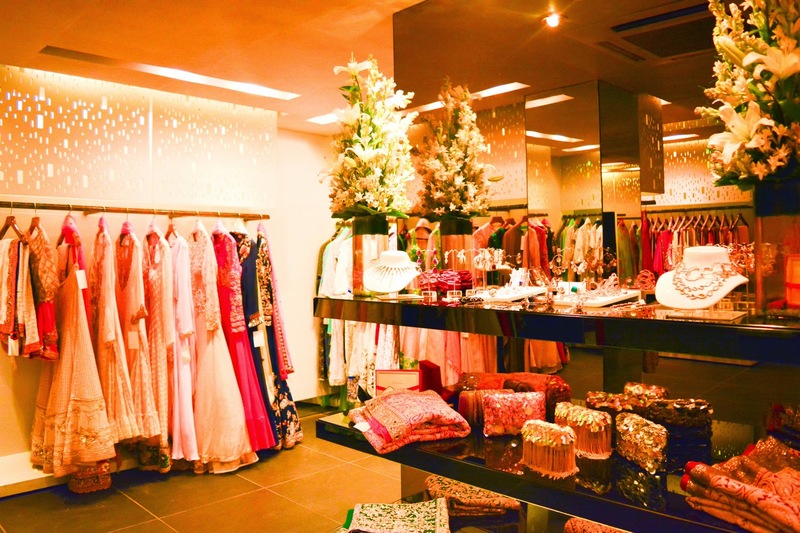 It is pretty difficult to tick in Malvika Poddar into a neat box labelled fashion entrepreneur and near to impossible to slot the Carma Boutiques as only a multi designer store because both the person and the stores are so much a part of the legendary growth of the organised fashion retail landscape of India !! 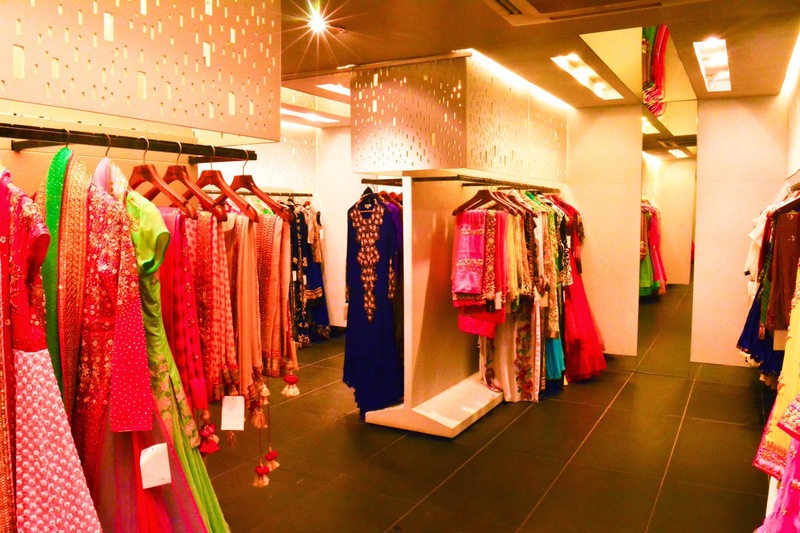 .... We at DSB have been blogging for 2 years, and almost every legendary Couturier and Designer we have come across personally till now has sometime or the other, been a part of the Carma journey .... After all, Carma is India's first fashion boutique !! ... Two decades back when it started, there was hardly any designer label to speak of ... and the present Gods of Indian fashion were just about starting their careers ... One of us at DSB, was not even born when CARMA was launched by Mrs. Lekha Poddar, Malvika's mother in law ... at the historical site of Lalkot, the first of the seven cities of ancient Delhi, also home to the UNESCO World Heritage site, the Qutub Minar .... 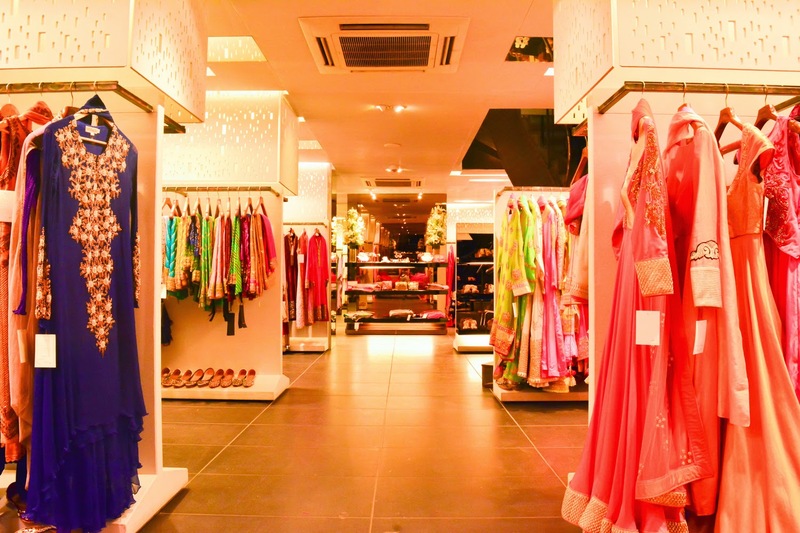 In the early days of Indian designer wear, Carma was THE fashion destination to launch a fabulous design collection .... and what once housed the carriages of Delhi royalty, housed all that was the best and new in Indian fashion luxury, leading it to be listed in British Vogue as "one of the trendiest stores in the world". The first outfit that you remember from your childhood? 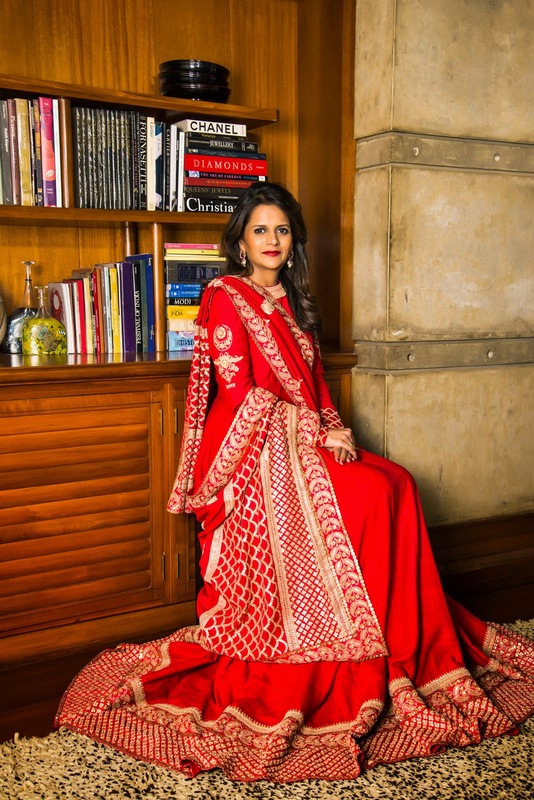 A red velvet kurta by Rohit Khosla, who in my mind was a pioneer of Indian fashion. I love travelling and seeing new places. A shawl given to me by my mother. 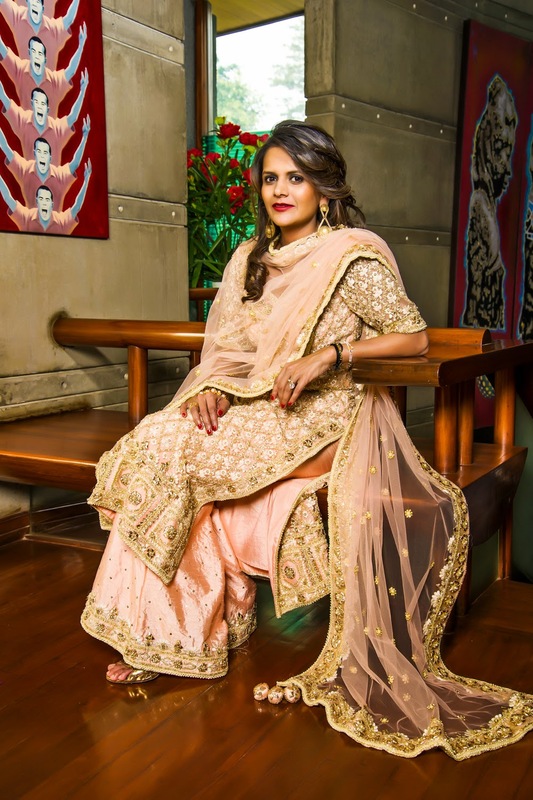 Oldest sari that you still wear, where did you pick it up from? I believe quality is never an accident. It is always an intelligent effort. So it is not the brand that i look at but the kind of quality that they can provide one with. 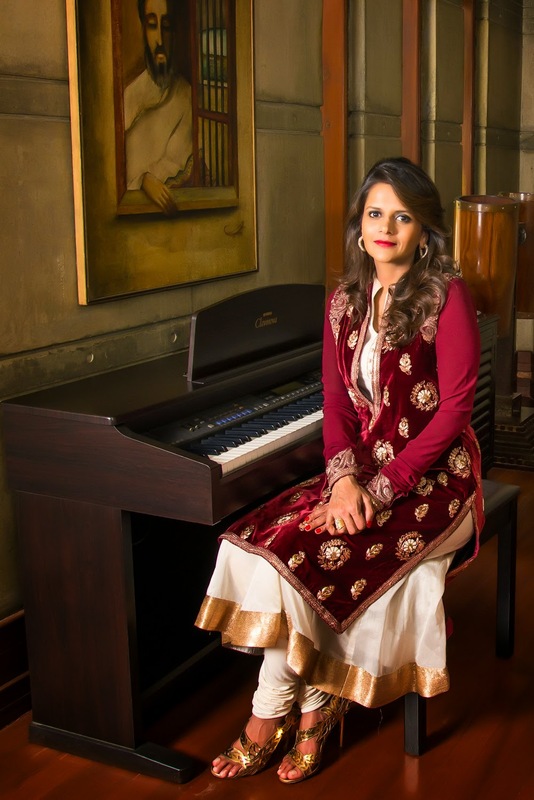 Views on Khadi/handloom in India. Khadi is not just a cloth. There is so much history behind it. Khadi represents the nation, it is a whole movement for the freedom of india. Thus, i feel Khadi in India is a culture, it is a heritage that we all should be proud of. Anything that you would like to share with our readers that hasn't been published about you before. 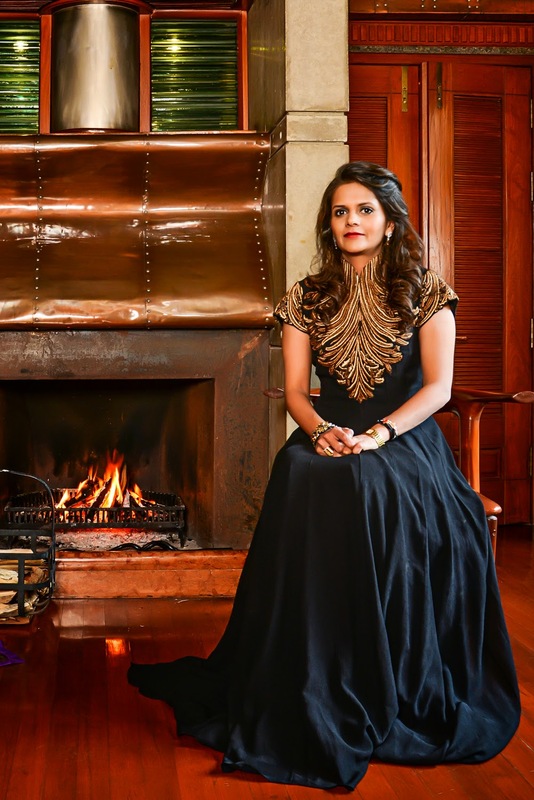 People have always seen me as an entrepreneur and a business lady, but something they wouldn't know about me is that i am a family person. I love to spend time with my kids, husband, my siblings, and relatives. For me, family has always been my priority.